Replacement screws to hold the canopy frame in place. Plastic handles with metal screws, washers and wingnuts. 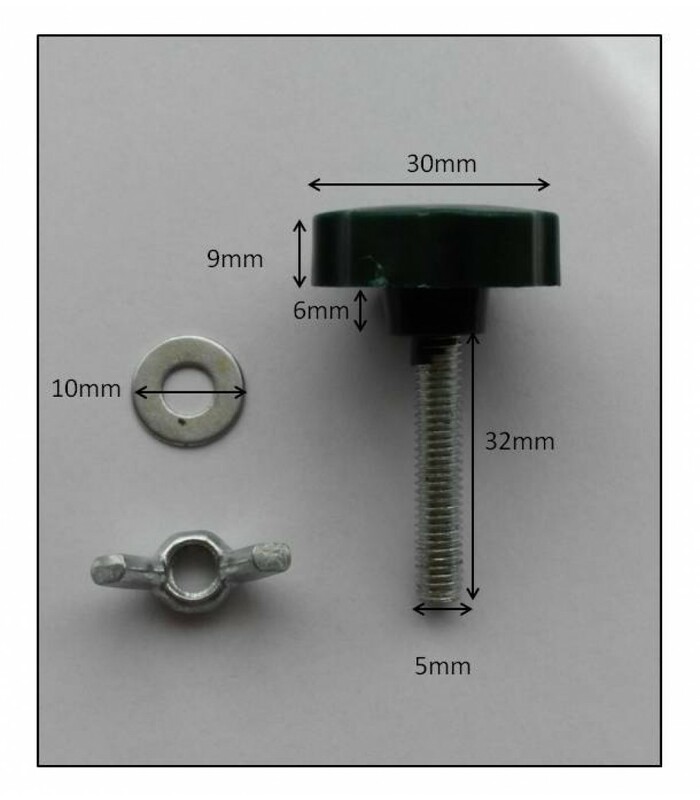 M5 screw length is 32mm. See image for all dimensions. Available in Black or Green plastic handle.